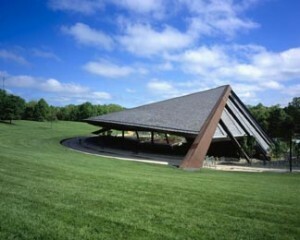 Cuyahoga Falls, Ohio is the home of the famous “Blossom Music Center”. The well known music venue was built as an outdoor centre for entertainment, including a stage, restaurant , art gallery, outstanding gardens and a beautiful picnic areas. It was built in the midst of over 800 acres of land and its location makes it clear why the Blossom Music Center is a favourite of Ohio’s music venues. One of the novelties of the Blossom Music Center, is the lawns that cover the back rows of the seating plan, giving a fantastic outdoor music experience. The lawns also provide an excellent view of the stage. Concerts go on rain or shine, so make sure you double check the weather when buying lawn tickets! Blossom Music Center attracts a number of festivals each year, including the ultimate rock and metal festivals; The Mayhem festival and Ozzfest! The venue has also had the Michael Stanley Band perform here who set a record with over 74,000 people attending his concerts here in just a few days! You’ll probably only know this band if you’re from Ohio and were around in the 80’s! 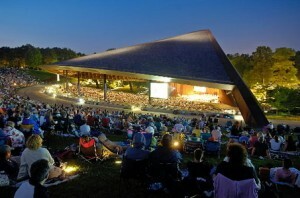 The Blossom Music Center is renowned for hosting some of the best orchestra events in Ohio. It is also the home of the famous Cleveland Orchestra which put on fantastic performances. We highly recommend coming to one of their events and star gazing on the lawn. Are you a halloween fan? Come to the Carnival of Horrors every October! Flash photography and video recording is not allowed but you are welcome to take still pictures.